100 years ago today, on the 17th July 1918, the RMS Carpathia was lost 190 km south of Cork. A transatlantic passenger steamship, she made her maiden voyage in 1903 and was famously among the first ships arriving to the aid of the sinking Titanic. 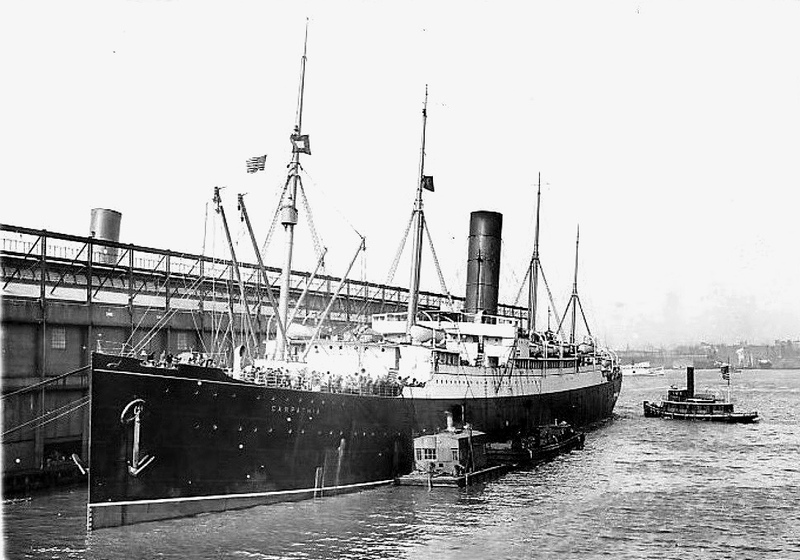 It was April 15th 1912 and the Carpathia was sailing from New York to Fiume in Austria-Hungary (now Rijeka, Croatia) when she received a distress call from the Titanic. They diverted course and headed through the dangerous ice fields to aid the fast sinking vessel. They arrived two hours after the ship had sank but they managed to rescue 705 survivors from the ships lifeboats and freezing waters. 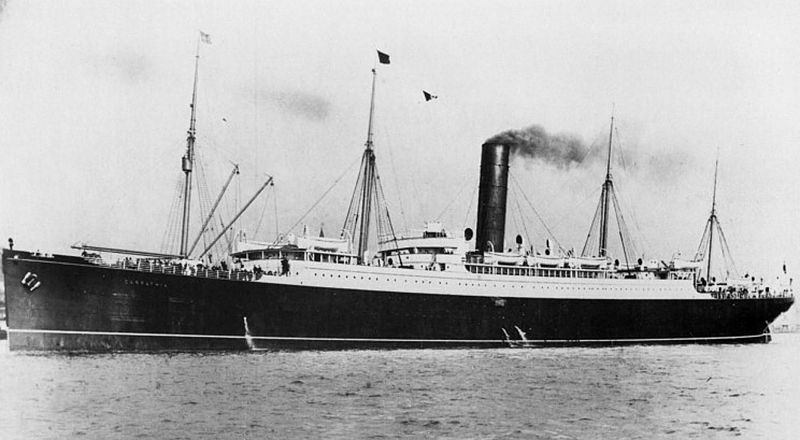 After its heroic rescue of the Titanic survivors the Carpathia continued its transatlantic duty for six more years but it too would have its own tragedy. On the 17th of July 1918 she was travelling in a convoy headed for Boston. She was about 190 km south of Cork in the Celtic Sea when the German U-boat U-55 fired two torpedoes. As the ship listed the captain gave the call to abandon ship. 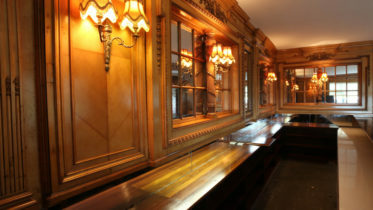 All 57 passengers and 218 of the surviving crew members – five had been killed by explosions – made it to the lifeboats. The U-55 fired another torpedo as the lifeboats were being manned. The HMS Snowdrop came to the rescue and drove off the submarine with gunfire and then picked up the survivors, delivering them to safety in Liverpool later that day.